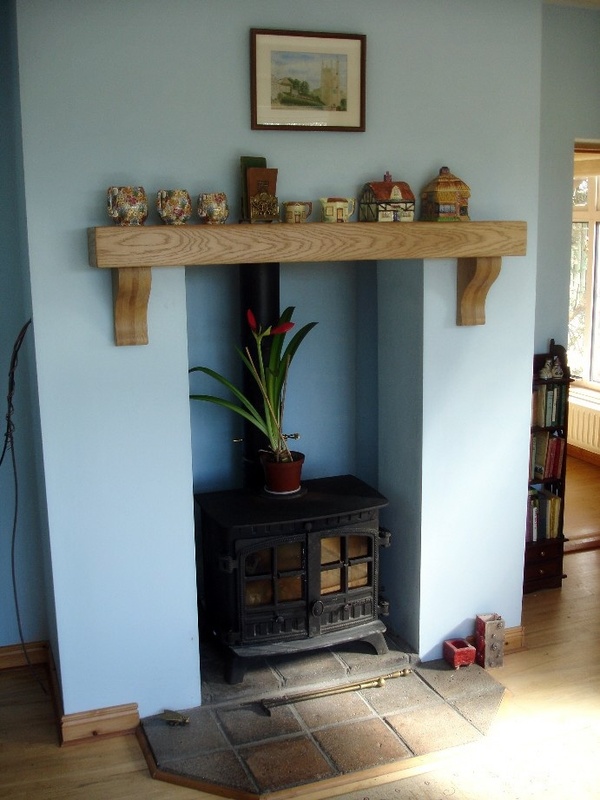 The traditional Oak Mantle Shelf with Corbels is constructed as a box, machined from 1 inch kiln dried timber boards giving the appearance of one solid Oak beam. This method makes the mantle extremely stable and prevents the splits and cracks that develop in a solid beam over time. 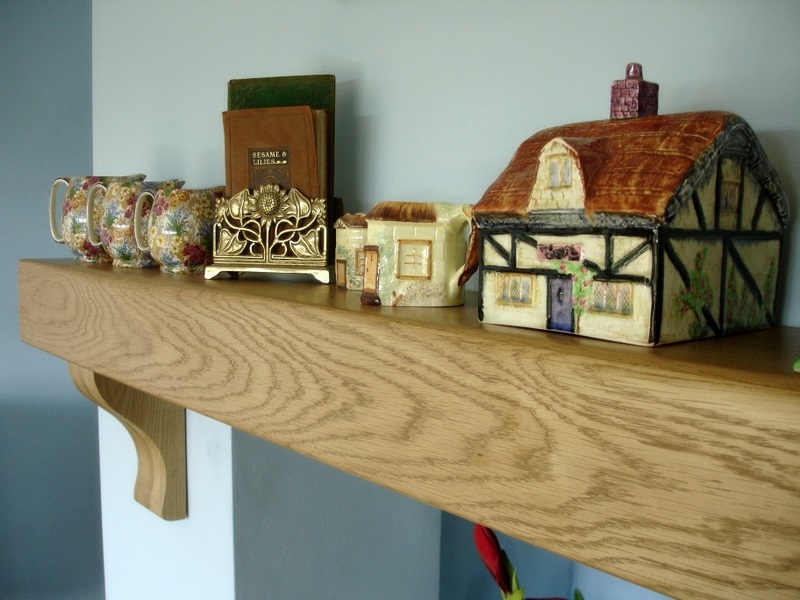 The corbels are also made from solid 1 inch Oak that is laminated to create a very stable, solid Oak corbel. The mantle will be delivered with the corbels prefitted to the mantle. 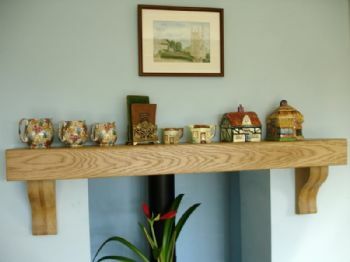 This is then secured to the wall by a unique hanging bracket, also made from solid Oak. This is exceptionally strong and very simple to install. 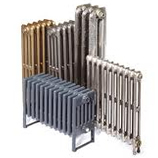 Full Fitting instructions are supplied. Each and every mantle is hand made to order so can be adjusted to your exact requirements. The edges can also be square edged for a more contemporary look or scalloped to create a more distressed look. The average lead time is 10 - 14 days.